City halls have no authority to prohibit the sale of a particular product. 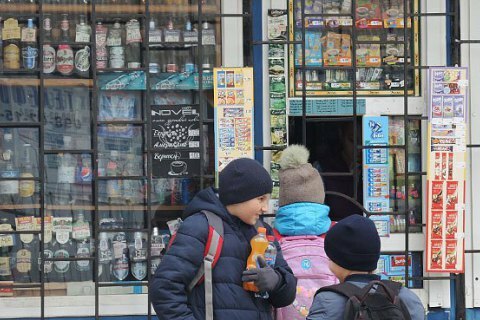 The Antimonopoly Committee of Ukraine considers illegal the decision of the Kyiv City Council to ban the sale of low-alcohol and strong spirits in kiosks. Head of the AMC Kyiv territorial branch, Oleksiy Khmelnytskyy, said local council do not have the authority to prohibit the sale of a particular product. "[The AMC] invalidated the decision of the city council to ban the sale of alcoholic beverages in kiosks as distorting competition," Khmelnytskyy said. The committee imposed a 5,100 hryvnia fine on Kyiv city hall for the breach of competition law and said the violation must eliminated within a month. Khmelnytskyy noted that prohibiting the sale of alcohol in temporary buildings can be resolved at the legislative level by adopting common rules for all. The AMC and the city council are in a lawsuit over Kyiv's ban on the sale of alcohol at night. Late last December, the AMC has ordered the city council to reverse the decision, but Kyiv councilmen ignored the requirement. AMC believes that the city council has made a decision that distorts competition as the laws of Ukraine do not limit or restrict the sale of goods.